Birch is the name of any tree or shrub of the genus Betula (Bé-tu-la) in the flowering plant family Betulaceae. There are about 40 species of birches, generally small to medium-size trees or shrubs found in northern temperate climates. The term also refers to the hard, close-grained wood of these trees. Birches are characterized by simple, alternate, serrated (toothed) leaves; male and female flowers on the same plant with the flowers in the form of catkins (wind-pollinated, cylindrical flower clusters, without petals); and fruit that is a small nut or winged samara (a dry fruit, having a flattened wing of fibrous, papery tissue), although the wings may be obscure in some species. Birches differ from the alders (Alnus, another genus in the Betulaceae family) in that the female catkins are not woody and disintegrate at maturity, falling apart to release the seeds, unlike the woody cone-like female alder catkins. Birches often have bark that peels in papery layers (not in the case of gray birch). Birches are versatile trees, offering important commercial, aesthetic, and ecological values. Ecologically, birch is important for forest food chains. Birch bark, leaves, twigs, roots, and fruit all provide food for various animals. These include moose and porcupines, which consume the bark; white-tailed deer, which feed on leaves and twigs; birds and mice, which consume the seeds; rabbits that eat seedlings; and lepidopterans that consume leaves. Root voles have a preference for birch seedlings and beavers utilize birch to construct dams. For humans, the sap, bark, leaves, wood, twigs, and roots are used for food, construction materials, drums, medicinal treatments, lubricants, and other practical applications. For example, birch can be used to make printing paper; commercial oil of wintergreen was made from the sweet birch (Betula lenta); and leaf extracts have been used for dyes and cosmetics. The inner bark of birch can be ingested safely and the birch fruit once served as the major food of the Incas. Birches also have spiritual importance in several religions, both modern and historical, and birch trees are popular ornamental trees in lawns and parks. Betulaceae, which also is known as the "birch family," includes six genera of deciduous nut-bearing trees and shrubs, including the birches, alders, hazels, hornbeams, and hop-hornbeams, numbering about 130 species. They are mostly natives of the temperate Northern Hemisphere, with a few species reaching the Southern Hemisphere in the Andes in South America. In the past, the family was often divided into two families, Betulaceae (Alnus, Betula) and Corylaceae (the rest); however, recent treatments have renamed these two groups as subfamilies within the Betulaceae—Betuloideae and Coryloideae. Betulaceae is closely related to the beech/oak family, Fagaceae. Birches, which comprise the Betula genus, are deciduous trees that are found in temperate North America, Asia, and Europe. The bark of all birches characteristically is marked with long horizontal lenticels, and often separates into thin papery plates, especially on the paper birch, Betula papyrifera. The bark is practically imperishable, due to the resinous oil which it contains. Its color gives the common names red birch, white birch, black birch, yellow birch, gray birch, and silver birch to various species. The buds form early and are full grown by midsummer. All buds are lateral, no terminal bud is formed; the branch is prolonged by the upper lateral bud. The wood of all the species is close-grained with satiny texture and capable of taking a fine polish; its fuel value is fair. The leaves of the different species vary but little. All are alternate, doubly serrate, feather-veined, petiolate, and stipulate. Apparently they often appear to be in pairs, but these pairs are really borne on spur-like two-leaved lateral branchlets (Keeler 1900). The flowers of birches are monœcious, that is, having both male and female flowers appearing on the same plant. These flowers are catkins, which are slim, cylindrical flower clusters, wind-pollinated (anemophilous) and without petals, and containing unisexual flowers. The flowers open with or before the leaves and are borne on three-flowered clusters in the axils of the scales of drooping or erect aments. Staminate aments are pendulous, clustered, or solitary in the axils of the last leaves of the branch of the year or near the ends of the short lateral branchlets of the year. They form in early autumn and remain rigid during the winter. The scales of the staminate aments when mature are broadly ovate, rounded, yellow, or orange color below the middle, dark chestnut brown at apex. Each scale bears two bractlets and three sterile flowers, each flower consisting of a sessile, membranaceous, usually two-lobed, calyx. Each calyx bears four short filaments with one-celled anthers or strictly, two filaments divided into two branches, each bearing a half-anther. Anther cells open longitudinally. The pistillate aments are erect or pendulous, solitary; terminal on the two-leaved lateral spur-like branchlets of the year. The pistillate scales are oblong-ovate,, three-lobed, pale yellow green often tinged with red, becoming brown at maturity. These scales bear two or three fertile flowers, each flower consisting of a naked ovary. The ovary is compressed, two-celled, crowned with two slender stylees; the ovule is solitary. The ripened pistillate ament is called a strobile and bears tiny winged nuts, packed in the protecting curve of each brown and woody scale. These nuts are pale chestnut brown, compressed, crowned by the persistent stigmas. The seed fills the cavity of the nut. The cotyledons are flat and fleshy. All the species are easily grown from seed (Keeler 1900). The fruit is a samara, meaning there is a flattened wing of fibrous, papery tissue that develops from the ovary wall. A samara is a simple dry fruit and indehiscent (not opening along a seam). The shape of a samara enables the wind to carry the seed away from the parent tree. A samara is sometimes called a key and is often referred to as a helicopter or whirligig. Birches are versatile trees. The sap, bark, leaves, wood, twigs, and roots are used for food, construction materials, drums, medicinal treatments, lubricants, and other practical applications. Due to birch pulp’s short-fiber qualities, this hardwood can be used to make printing paper. In India, the thin bark coming off in winter was used as writing paper. The paper is known as bhoorj patra. Bhoorj is the Sanskrit name for tree and patra means paper. 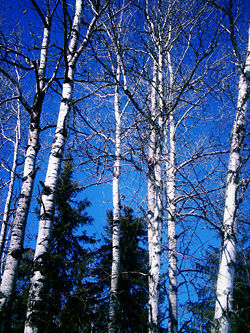 Extracts of birch are used for flavoring or leather oil, and in cosmetics such as soap or shampoo. In the past, commercial oil of wintergreen (methyl salicylate) was made from the sweet birch (Betula lenta). Birch tar or Russian Oil, extracted from birch bark, was used as a lubricant or glue and also for medicinal purposes. Silver birch (Betula pendula) is Finland's national tree. Occasionally one uses leafy, fragrant twigs of silver birch to gently beat oneself in a sauna. The twigs are called vihta or vasta. This has a relaxing effect on the muscles. Birch leaves are used to make a diuretic tea and to make extracts for dyes and cosmetics. Many of the First Nations of North America prized the birch for its bark, which due to its light weight, flexibility, and the ease with which it could be stripped from fallen trees, was often used for the construction of strong, waterproof but lightweight canoes, bowls, and tipis. Birch is used as firewood due to its high calorific value per unit weight and unit volume. The bark also is used in starting fires. The bark will burn very well, even when wet, because of the oils it contains. With care, the bark can be split into very thin sheets that will can be easily ignited and will burn extremely well due to the highly flammable oil content. Birches also have spiritual importance in several religions, both modern and historical. 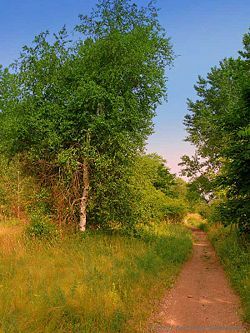 The birch is considered a national tree of Russia, where it used to be worshipped as a goddess during the Green Week in early June. Birch wood is also used to make drums. They produce boosted high and low frequencies with loud low end punch that is ideal for studio recordings. The inner bark of birch can be ingested safely. The birch fruit once served as the major food of the Incas. In Belarus, Russia, the Baltic States, Finland, and parts of northern China, birch sap is drunk as a refreshing beverage, and is believed to have tonic qualities. It is watery and pale green in color, with a slightly sweet flavor, and is bottled commercially. Birch sap may also made into kvass. The sap of particular birch species may also be rendered into birch syrup, vinegar, beer, soft drinks, and other foods. In contrast to maple syrup, birch syrup is very difficult to produce, making it more expensive than other food syrups. It is also considerably less sweet than maple syrup and the sap for syrup production is not available until a month later than maples. The syrup is made mainly in Alaska (from Alaska Birch) and Russia (from several species), and more rarely elsewhere. Xylitol can also be extracted from birch, a sugar alcohol artificial sweetener, which has shown effectiveness in preventing, and in some cases repairing, tooth decay. 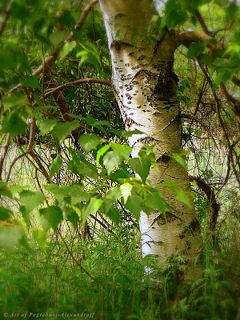 Birch bark is high in betulin and betulinic acid, phytochemicals, which have potential us as pharmaceuticals, and other chemicals, which show promise as industrial lubricants. The chaga mushroom is an adaptogen that grows on white birch trees, extracting the birch constituents and is used as a remedy for cancer. In northern latitudes, birch is, however, considered to be the most important allergenic tree pollen, with an estimated 15-20 percent of hay fever sufferers sensitive to birch pollen grains. Birch is important for forest food chains. Birch bark, leaves, twigs, roots, and fruit all provide food for various animals. Moose consume birch bark as a staple winter food and porcupines consume the inner bark as well. White-tailed deer consume leaves and twigs and rabbits browse the seedlings. Many animals consume the seeds, such as birds and mice. The leaves serve as a food source for various Lepidoptera. Root voles eat young birch seedlings, which are lower in amount of resin droplets (Harju and Tahvanainenand 1997), and beavers utilize birch to construct dams. eFlora. 2007. Betula. Flora of North America. Retrieved August 15, 2007. Harju, A., and J. Tahvanainen. 1997. "Palatability of silver birch seedlings to root voles, Microtus oeconomus." Ecography 20(1): 83-87. Li, J., S. Shoup, and Z. Chen. 2007. "Phylogenetic relationships of diploid species of Betula (Betulaceae) inferred from DNA sequences of nuclear nitrate reductase." Systematic Botany 32(2): 357-365. This page was last modified on 7 September 2009, at 15:24.